Rehabilitated penguins at Pohatu bay. Have it all including in of our overnight stay in our historic and cosy private rooms in the middle of the penguin colony! Enjoy the safe swimming beach just outside your door or explore the surrounding and secluded landscape. FREE Evening Penguin Tour (if in season). Penguin presence. Highly discounted sea-kayaking. You pay $25 vs. $75! Visit to the spectacular cliff-tops of the Akaroa Heads Lighthouse Reserve. 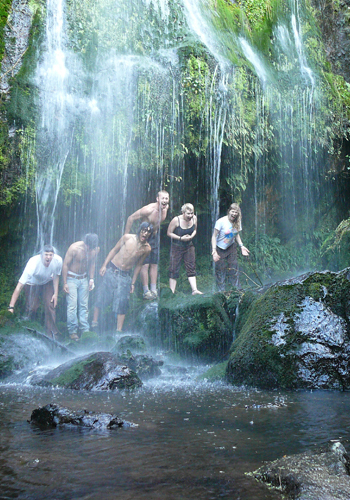 Opportunity to walk along the gentle river and waterfalls of the Tutukakahikura Scenic Reserve. 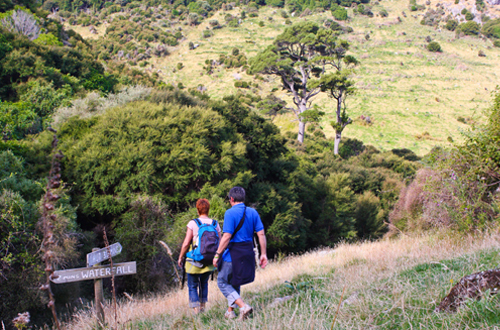 Fully forested and downhill walk part of the well-known Banks Track. 3-hour & 1.5-hour options available. Gaze up at the night sky to see the brilliant Milkyway. Wake up to the sound of birdsong, sheep and the sea. Fully equipped kitchen, linen, toilet, shower, etc. Food for 24-48 hours depending on package selection. Warm clothing for the evening. If kayaking, clothes you don’t mind getting wet. Water shoes are not necessary. Hiking boots/shoes or athletic shoes for the bush walk. Safe drinking water at the accommodation. FREE off-street, overnight parking available in safe and secluded area. Typical departure time from Flea Bay is 11:15am. If there is no morning kayaking an earlier departure time can be arranged. Note that prices will changed on the 1st of September. You wish to enjoy the area a bit longer? Extend your stay with our 48 hr Package option. 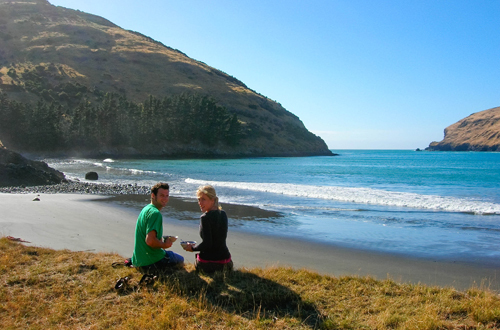 The 48 hour option gives you a further 24 hours at Pohatu for just the accommodation price of $90 accommodation unit. This gives you more time to explore the many lovely tracks on the property, more time to get the best conditions for sea kayaking, go for a swim or to simply sit back and soak up the tranquil atmosphere. *Note this is only available from April to September. As we are in the process of renovating the accommodations and upgrading facilities, we will have to close our Pohatu package from the 22d of April until the end of August but please trust that we will work tirelessly to have them reopened as early as possible. All other tours will of course be running as normal so you can check our Sea-kayaking safari or Full Scenic Nature safari. We are also joining forces with La Rochelle motel in Akaroa offering a specific package, find out more here. Website Designed by Zeald © Copyright 2014 Pohatu Penguins. All rights reserved.